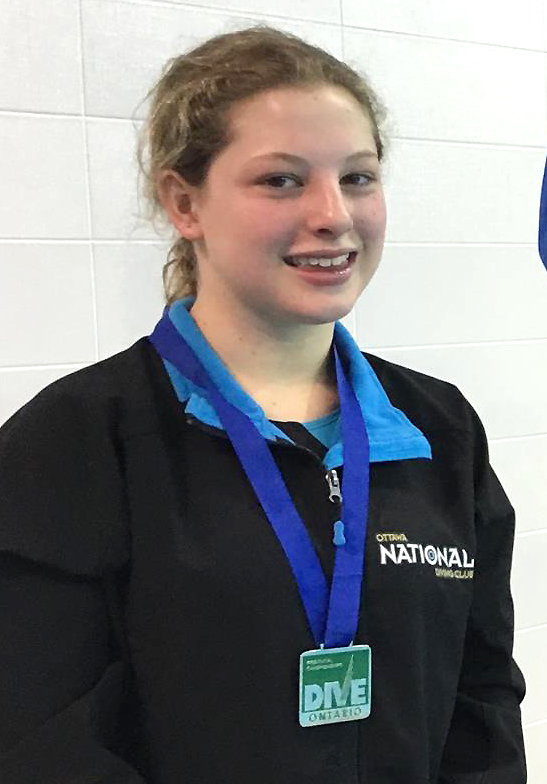 Emma Corrigan had a great weekend in her age group events but shined when it came to the open events. Her age group events she finished with a BRONZE MEDAL on 1m, BRONZE MEDAL on 3m and 5th on tower. In her open events she finished with a BRONZE MEDAL on 3m, 5th on tower and a SILVER MEDAL on 1m. She will remember that silver medal for the rest of her life because she made her very first SENIOR NATIONAL SCORE!!!!! When coach Kathleen looked at the scoreboard, she nearly fell off her chair she was so excited! 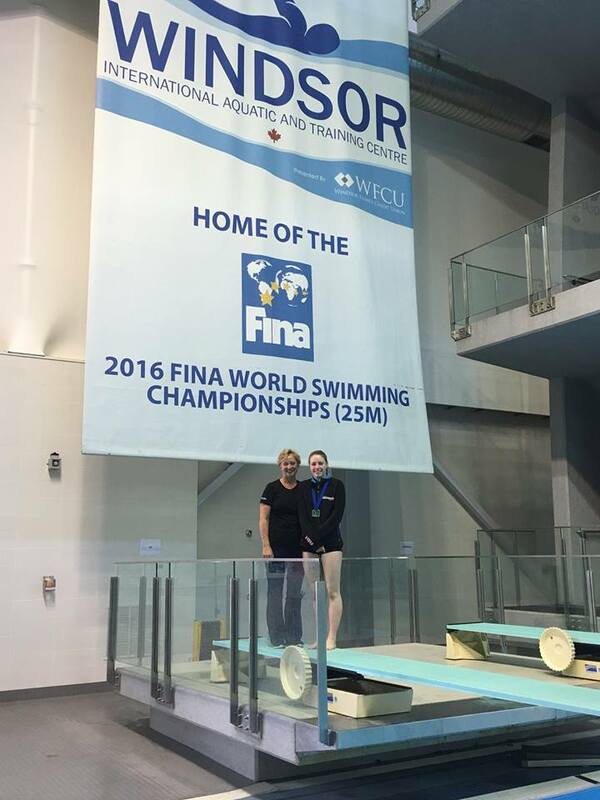 Emma has come such a long way in the sport of diving and this was another giant leap forward for her career. Sofia Perrey have developed into an amazing competitor for our team. Setting aside one minor hiccup on 1m, she had an amazing weekend. She finished with a SILVER MEDAL missing gold by only 1 point on tower and a 4th place finish on 3m. She also received her very first NATIONAL SCORES on tower and 3m. Just one more score to go and she can attend the Canadian Nationals as an international athlete. Every day it seems like Sofia is learning something new and pushing her limits as an athlete! Congratulations on another great weekend Sofia !